musings of a sea witch: Loves me some sidewalk sale. Greetings dear readers. 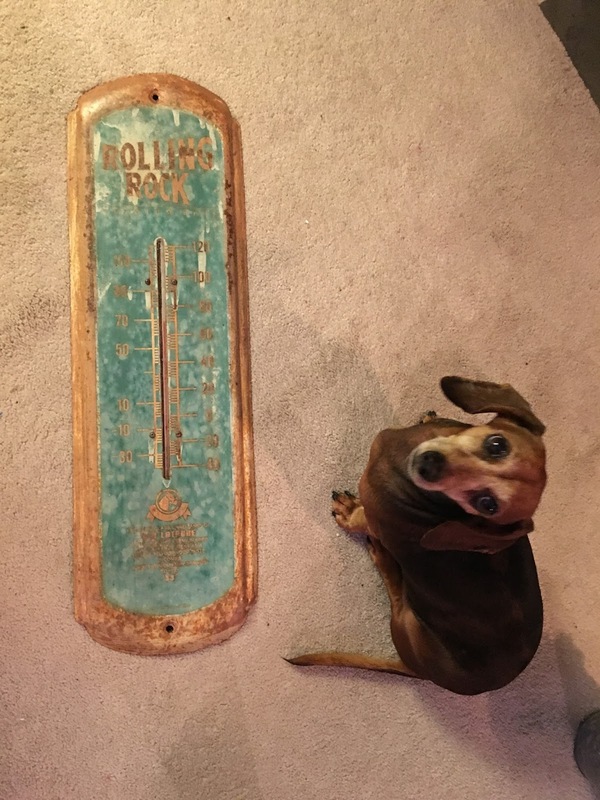 The country's weather patterns are all over the boards these last few weeks but Mother Nature finally cut us a break and we had a chamber of commerce Florida day on Saturday. 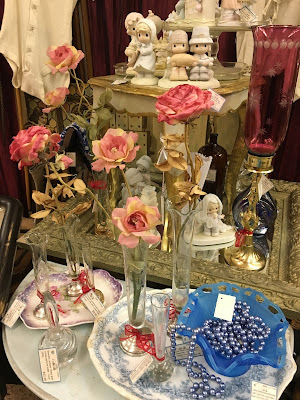 Perfect for the Lyon's Head Antique Mall sidewalk sale and our dealers were out in full force. Tables on either side of the shopping center sidewalk, you were surrounded by treasure. One of our dealers ladedi her sidewalk tables with baskets filled with vintage linens and all were priced at one dollar. 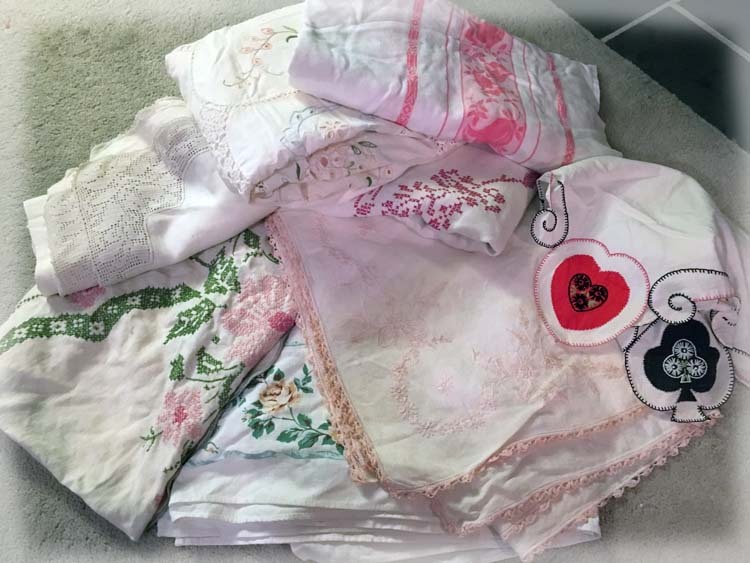 ONE DOLLAR - yea I hollered and then purchased eight lovely tablecloths. I can't wait to wash, starch and iron these beauties. 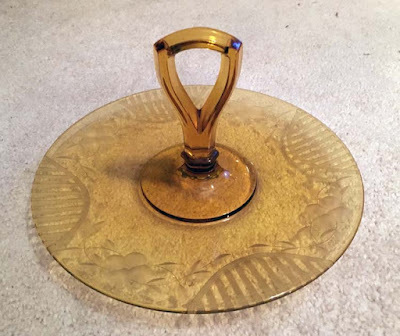 Depression glass is slowly making a return in demand for those millennials who want to have a few pieces they remember their grandmothers or great grandmothers using. I'm finding that they are not looking for complete sets as was popular years go but unique serving pieces and table items like candlesticks and condiment servers. 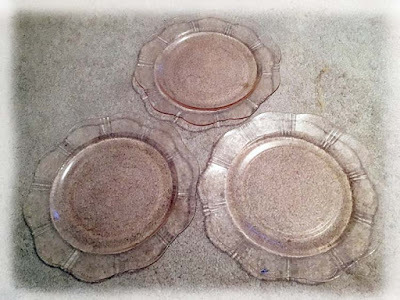 Ditto with these Art Deco sandwich servers. 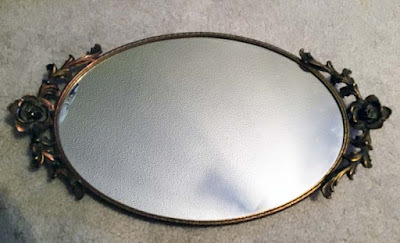 Couldn't give these away a few years ago but now I am moving them like mad. Especially the amber color. From the sidewalk sale, I headed out to my local Goodwill and found some nifty pieces. 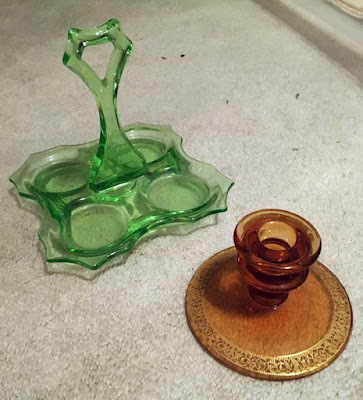 Looks like Elegant Depression glass is Saturday's watchword, because these two stunning pieces were priced to steal. 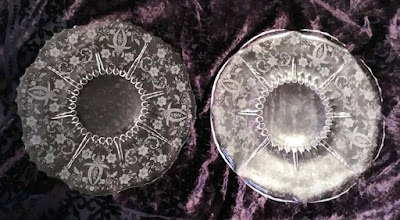 Both are New Martinsville etched large cake servers. One has the flat edge while the other has the upturned edge and in Prelude pattern. Three dinner plates of McBeth-Evans, American Sweetheart in the palest shade of pink. 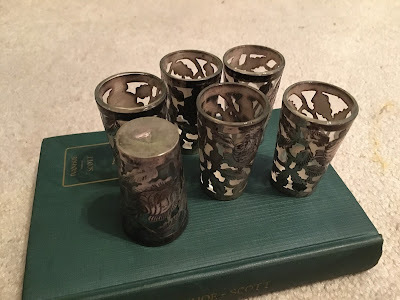 Six vintage, hand cut, engraved and applied sterling silver over glass tequila shot glasses. They have a Taxco hallmark that I am now searching info on. Heavy, mid century mirrored dresser tray with cabbage roses handles. 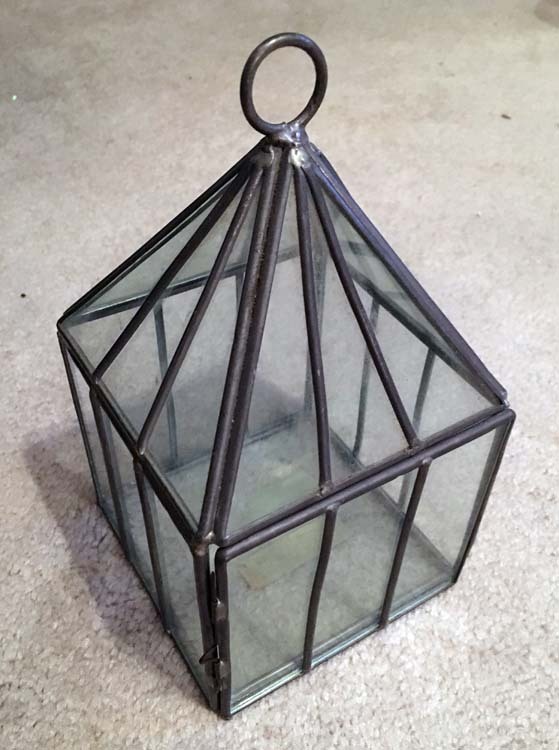 Vintage or new, I love these glass terrariums in any size. They are marvelous to fill with found treasures or tiny lights. 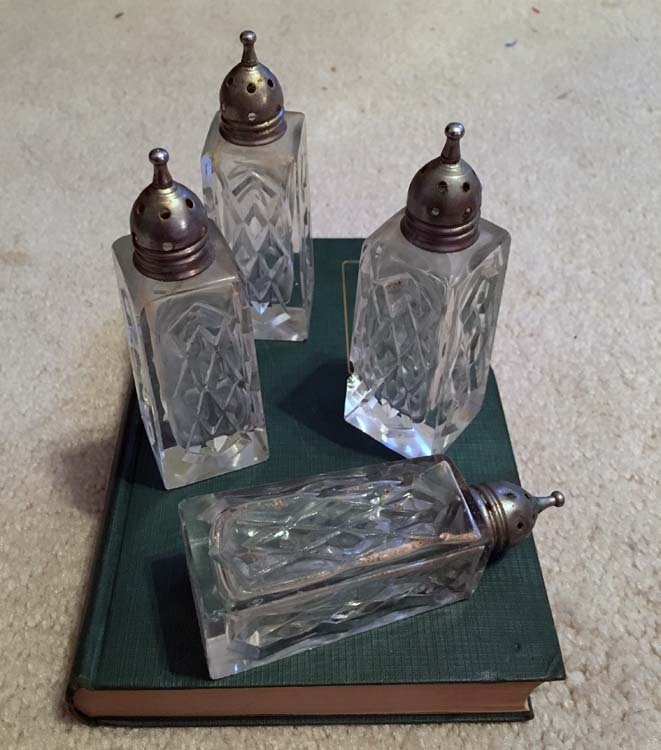 Set of four, vintage, crystal with silverplated tops, salt and pepper shakers.